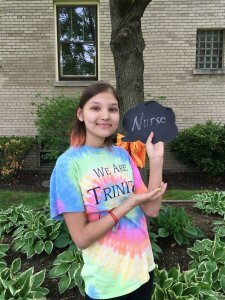 An American Red Cross blood drive will be held in memory of AnaVictoria Segoviano Monday, June 26 from 9 a.m. to 3 p.m. at Rush University Medical Center, 1650 West Harrison St., Chicago. Segoviano recently passed away after a battle with Acute Lymphoblastic Leukemia. The 15 year-old is remembered as being full of life, hope, and kindness. 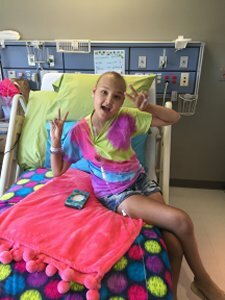 “AnaVictoria was a fighter, gentle and beautiful person and our goal is to help other young patients and the community at large,” said Elizabeth Segoviano, AnaVictoria’s mother. “My daughter was a recipient of blood products and we believe she benefited greatly from receiving blood.” Volunteer blood donors of all types are needed to help save lives. Accident and burn victims, heart surgery patients, organ transplant patients, and those receiving treatment for leukemia, cancer or sickle cell disease may all need blood. “Our hearts and thoughts are with the Segoviano family,” said Celena Roldan, chief executive officer of the American Red Cross of Chicago & Northern Illinois. “We sincerely admire this family’s bravery and dedication to help others by encouraging blood donation.” Those with types O, A negative and B negative blood are encouraged to make a Power Red donation at this blood drive. Power Red donors give a concentrated dose of red blood cells during a single donation, allowing them to maximize their impact. During this type of donation, red blood cells are separated from other blood components, and the plasma and platelets are safely and comfortably returned to the donor. If you are interested in becoming a donor, visit redcrossblood.org or call 1-800-733-2767.